Leading from the middle isn’t easy. To do it well, you must be able to manage up, down and sideways, juggle the demands of your boss, meet the needs of your direct reports and collaborate with your peers. You need to understand the company vision and strategy, while at the same time be able to manage the details of your department. You must handle the pressure of needing to be all things to all people and balance competing priorities within the organization. Communication is critical: In most organizations, communication has a trickle- down effect and the “why” gets diluted the further it gets from the top. Do not let this happen to you. Great middle managers know how to ask for information and distill it down to actionable tasks that their teams can execute. Make sure you are on the same page as your boss, ask for advice when appropriate and talk to your team as often as possible. Be candid: Great managers are honest and direct in their communication. Both your manager and your employees should always know where you stand. To give feedback effectively, be clear, positive and specific, focus on the behavior rather than the person, and make it a two-way conversation. Take feedback: Receiving feedback is hard to do, and great managers take it like champs, making it as easy as possible on those who are forward with constructive criticism. Show your willingness to take feedback by listening closely to what’s being said. Ask clarifying questions, and refrain from making excuses or getting defensive. Say “thank you,” and then take action to show you heard and valued the feedback. Be resilient: Middle managers must be able to handle stress and setbacks with grace, as shifting priorities and miscommunication can put them in difficult situations. Don’t take setbacks personally, as they are part of the job. Treat every problem as part of your learning process, don’t overdramatize the issue, find a positive outcome and move on. Listen carefully: Stop talking and start listening. To be a great middle manager, you need to understand what your boss, your employees and your customers are truly saying so you can make better decisions. There are nuances in every conversation, and if you catch them, you’ll be better able to navigate office politics. Pay attention to your employees’ feedback and suggestions; act to show you can effectively solve problems. Influence others: As management guru and author Kenneth Blanchard said, “The key to successful leadership today is influence, not authority.” To get things done, you must influence those around you. While being a manager gives you a certain amount of influence, you can be more effective if you take the time to build trust and prove you want to help others succeed. To cultivate influence, learn about others’ working styles, goals and priorities, be personable and listen mindfully. Get out of your office and engage. Manage sideways: Great middle managers know they must work well with their peers to break down silos and get big projects done. 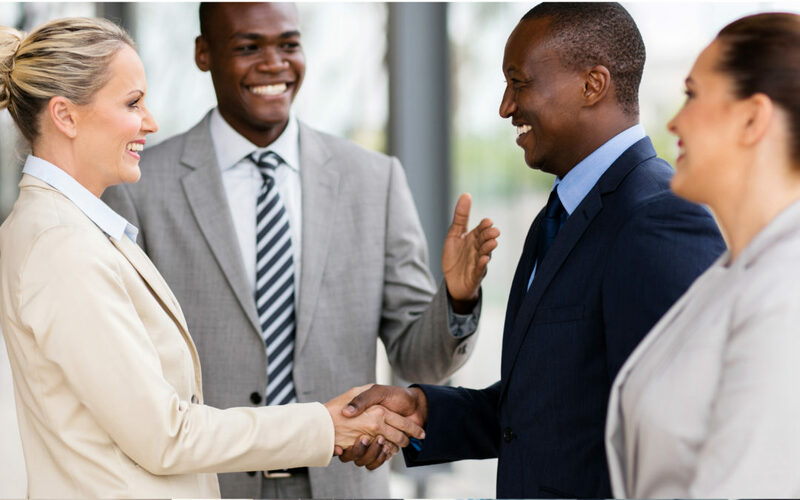 Forging ties with management peers enhances individual success and improves the company bottom line. Seek out opportunities to connect with your peers and bridge gaps between departments by being helpful, sharing information and following up often. Work with integrity: Effective leadership is all about getting results the right way. Do your work with impeccable integrity and intention. Don’t cut corners, cheat, violate values or step on others to get the job done. If you make a mistake, take ownership of it. People who demonstrate integrity draw others to them because they are trustworthy and dependable. More than ever, great managers are needed at every level of an organization. Be bold and accept the challenge of middle management. You’ll emerge a far better leader, and you’ll create new opportunities to stretch yourself and your team. For more information, contact Kerry Siggins at kerry.siggins@stoneagetools.com. To read her blog, visit www.kerrysiggins.com/blog.